In honor of Black History Month, USTA.com is spotlighting several African-American collegiate coaches who have had an impact on the game of college tennis. In our first feature, we talk with Harvard women’s head tennis coach Traci Green. 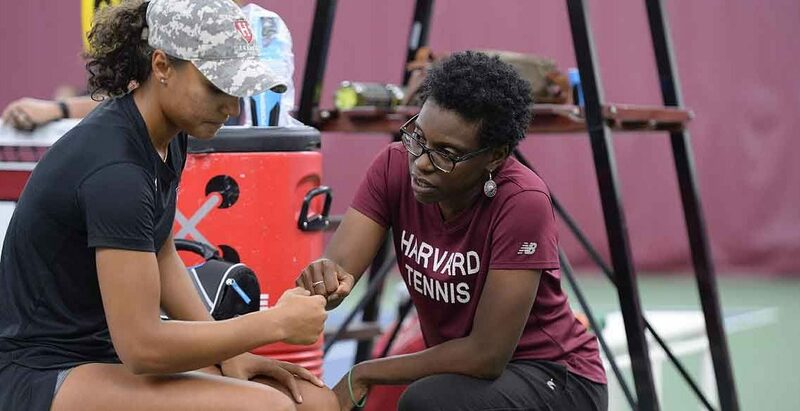 Traci Green is currently in her 12th season as women’s head tennis coach at Harvard University, where she owns a coaching record of 128-104 and is the second winningest coach in Crimson women’s tennis history. Before taking over the helm at Harvard, Green was the women’s head coach at Temple University in her native Philadelphia for three years. She also had a successful career as a college player at the University of Florida, where she was a member of the Gators’ 1998 NCAA championship team and was ranked nationally as high as No. 5 in doubles and No. 12 in singles during the 1999-2000 season. In this Q&A with USTA.com, Green talks about her favorite part of coaching, the changes she’s seen in college tennis over the years, how playing at Florida influenced her coaching philosophy and much more. USTA.com: What are some of the biggest highlights that come to mind when you think back on your 15-year career in college coaching? Traci Green: Each season is different, and all seasons have had their own set of challenges, twists, turns and obstacles to overcome. However, each year the highlights for me come from the development and growth of each team. I enjoy the amazing process of seeing a group of individuals come together as a team, work hard together, learn and grow together, compete hard together and ultimately achieve their goals. Prior to college tennis, many players have never played on a real team before, so there is typically a learning curve due to the nature of our individual sport. It’s the transition from junior tennis and the balance of focusing on individual goals as well as team goals that make our roles as coaches so interesting and unique. USTA.com: What is your favorite part of coaching at the college level? The most challenging part? USTA.com: When did you decide you wanted to be a tennis coach? Did you always know it’s what you wanted to do? Traci Green: I had a role model in my mother, who was a Division 1 college lacrosse, field hockey coach and full professor, but I never thought that would be my path. I started working with players fairly quickly after college. I enjoyed staying in the game, hitting balls and all the competitive aspects. I also realized I missed the college competitive team environment, so when I had the opportunity to be a volunteer coach at the collegiate level while in grad school, I ran with it. I have found that college coaching combines my interest in education, working with young people, my love for tennis and my competitive nature. USTA.com: What changes have you seen in college tennis since you started coaching at Harvard 12 years ago, and at Temple three years before that? Traci Green: I really like the way college tennis has become a viable and more common pathway to pro tennis. I also like the way the USTA recently improved the professional player pathway from college tennis to professional tennis, and the overall professional player pathway. It provides much more access, assistance and opportunity to all players. I think the recent USTA leadership had a lot to do with that, as well as the willingness of many folks to think outside the box. Additionally, there have been some changes to the way Division I tennis is scored—for example, no-ad, one set for doubles, etc.—that make the sport easier on our fans who come out to watch a much more exciting and fast-paced college event. Live streaming and television have also made the sport more accessible to those who can’t come out to see the matches live, and that has also helped our fan base. Our Harvard prospective recruits also get super excited when they learn our matches are streamed live on ESPN. USTA.com: Did your college tennis experience as a player at the University of Florida shape your coaching philosophy in any way? If so, how? Traci Green: Definitely. I loved how close, hard-working and diverse we were as a team. I’m definitely always trying to implement those values. Our coaching staff was always super organized and driven, as well. USTA.com: Talk a bit about the college recruiting process. How much of your time is spent recruiting? What are your thoughts on the college/pro decision for top junior players, and how do you handle that topic when you’re recruiting? Traci Green: Our current staff spends about 35 percent of our time recruiting. Getting to know players is a very important step in our admissions process, as well as an important part in determining the overall academic and team fit for recruits. Some prospective students reach out to us via email early in high school, and that starts the process, while others we scout at tournaments or identify at showcases or our summer camps. When it comes to college vs. pro tennis, we always leave that decision up to the individual player and family because every player has a unique situation. USTA.com: Do you think the success of former college players, like John Isner and more recently Danielle Collins, who both played all four years in college and graduated, will make a difference to top junior players when they’re deciding whether to play college tennis or to turn pro right away? Traci Green: I believe the more success former college players have at the pro level the stronger the overall brand of college tennis will become, and that’s good news for everyone. However, it’s equally important for all college programs across the country, at each level and division, to stay relevant on campus and within their local communities because more and more athletic departments are choosing to cut tennis programs each year. Only a few of our tennis players at Harvard will turn professional, unlike my experience at Florida, but for those that have those dreams, the pathway is much more viable, and that’s exciting. USTA.com: I’m sure you don’t have a lot of free time as a coach, but when you do, how do you like to spend it? Traci Green: When I do have free time, I like to catch up with family and friends. I also like to travel to new places. It’s important to take advantage of down time and not burn yourself out. I also enjoy finding ways to volunteer and give back. 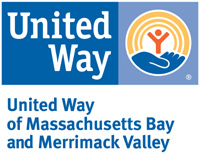 I am very involved in the community in and around Boston. 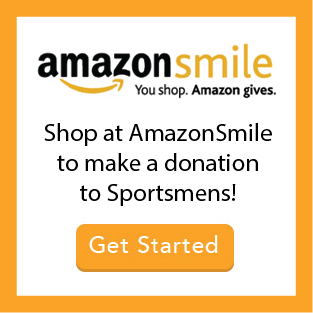 Currently, I am board chair at the Sportsmen’s Tennis & Enrichment Center, which is one of very few nonprofit, elite tennis facilities in the country and provides opportunities for tennis, academics and life-skills programming to underserved communities in Boston. I am also on the board of the Black Women in Sport Foundation, a nonprofit organization whose mission is to increase the involvement of black women and girls in all aspects of sport, including coaching, athletics and administration. I also serve on the USTA Collegiate Competitive Pathway National Committee, among other things. USTA.com: Who have been the biggest influences in your tennis career? Traci Green: I grew a ton as a player and person in college. Andy Brandi, my college coach at Florida, had a huge impact on my college career and overall mental toughness. As a young player, I was also fortunate to learn from Arthur Ashe and numerous elite coaches along the way. I have wonderful memories of being selected for national teams as a junior player, competing at junior Grand Slam events, playing Challenger events prior to and during college, and winning national championships with my teammates. Ashe and Brandi instilled so many values that are at the core of who I am today. The amount of lifelong friends, contacts and mentors I have made via tennis and sports, in general, is truly a blessing. There are too many names to list. A few of the folks who have inspired me when I was a player or now as a coach include Katrina Adams, Martin Blackman, Rodney Harmon, Lynne Rolley, Eric Riley, my family, assistant coaches, university administrators and my amazing teammates and students.